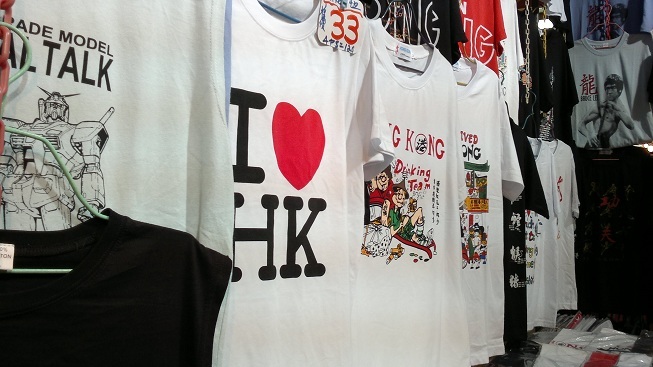 It’s time to sum up the things I’ve been through and experienced as being one of the luckiest bloggers that WOMWorld brought in HK to try something new. Definitely, we did experienced new things there so gonna share it to you all. Day 1 – Meeting up the cool and the awesome guys. After everyone was settled and arrived in the hotel, we met up all at the lobby by evening to gather and go for dinner. It was been my first time meeting my online friends in personal so I got bit of worried of finding them as I’m no expert myself of recognizing faces in personal. But luckily, I met Clinton Jeff first after he noticed my Nokia X7 first whilst I’m fiddling at it and after then it was me he noticed about. lol. CJ looks very the same in personal and in the internet as to his voice too. Next was meeting the others and it was really fun and very interesting to meet online friends in personal. I just can’t get rid of thinking and comparing their faces from both online and personal. 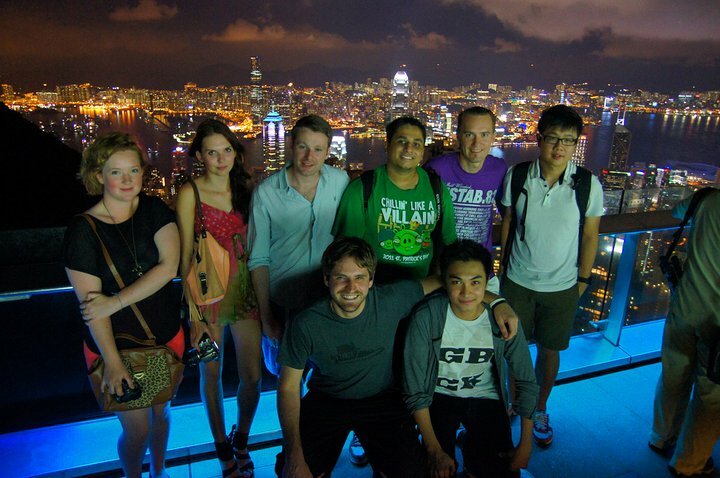 After some meet and greet we headed to Great Peak in top of HK. I can’t just forget going up there in a taxi because it was like being on a roller coaster ride. 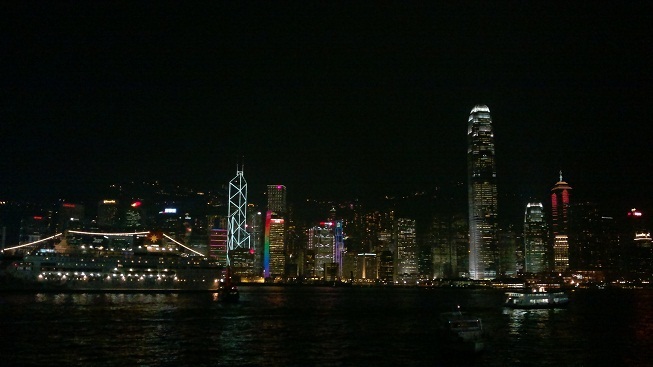 We had our dinner there and had some view on HK’s skyline at night and all I can say that HK is so majestic! From left to right (top) @teacupblog @getpalmd @Chris_illman @clintonjeff @smashpop and (bottom) @riccwebb and me @Jadejavu. Image from CJ’s flickr. The second day was we kicked off, we bloggers, to Soho district to go for some shopping and roaming on this busy place full of tall buildings and people. It’s a sloped place so you have the escalators going up but it was crazy to go down because you would only find stairs. Place is so unique and diverse. One thing I cannot forget about this one was when Jason @smashpop went for some planking in the middle of hot cobbled street. 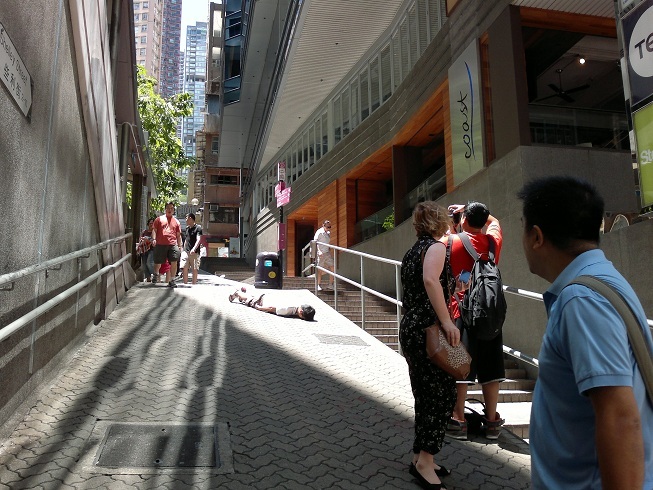 It was my first time to see someone planking. 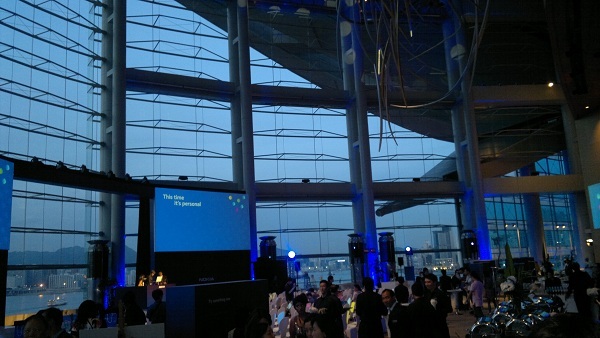 On evening, we all met up in the lobby and walked off together to Symbian event. 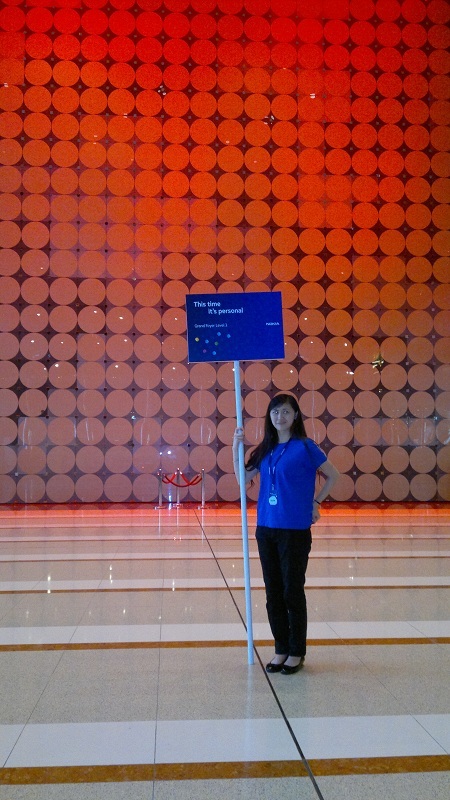 It was my first international Nokia/Symbian event and I was really amazed of the settings of the place when we arrived there. Few crews already set up and have greeted us already on the way with their posters and smile. After arriving on the area where the real event was been held, we registered, received free BH-505, got some blue drinks and prepared for the start. The ambiance of the place was so enticing. 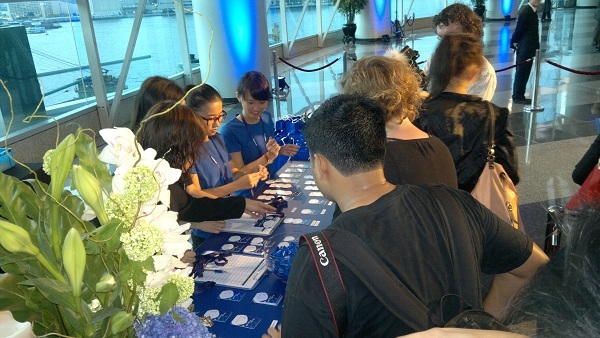 The blue theme fever is noticeable and it makes more the event so exciting. It was also my first time to meet @varunkrish of FoneArena. 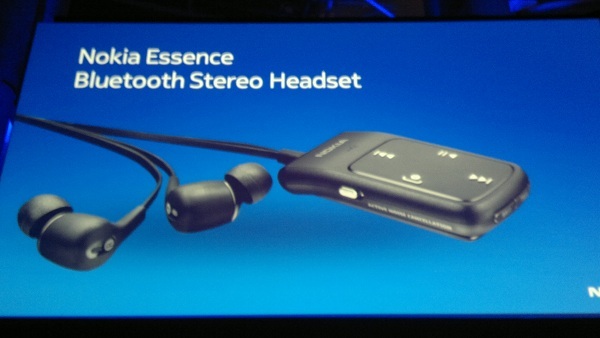 And the highlight of the night was when the new Nokia smartphones, Symbian Belle, and Nokia Essence launched. 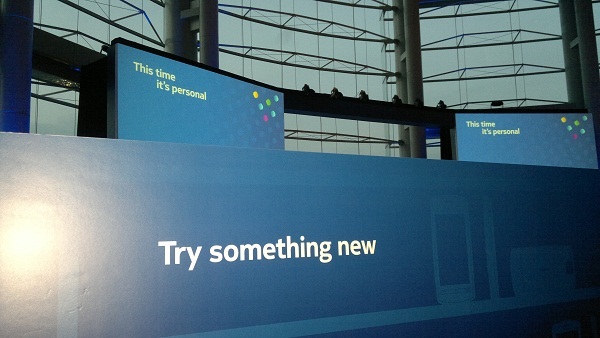 The room got filled of excitement as everyone was looking forward to test and see on what do these new wave of Nokia devices got. 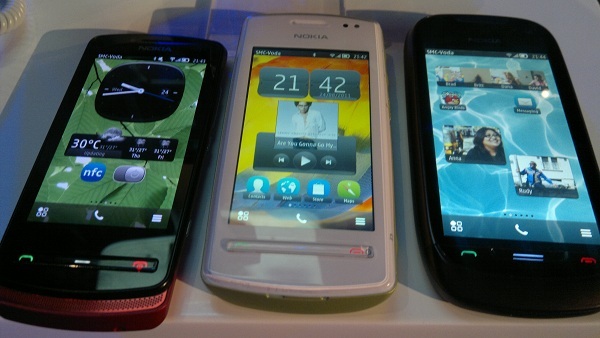 We did managed to have videos and photos of these new smartphones as well as the Symbian Belle. 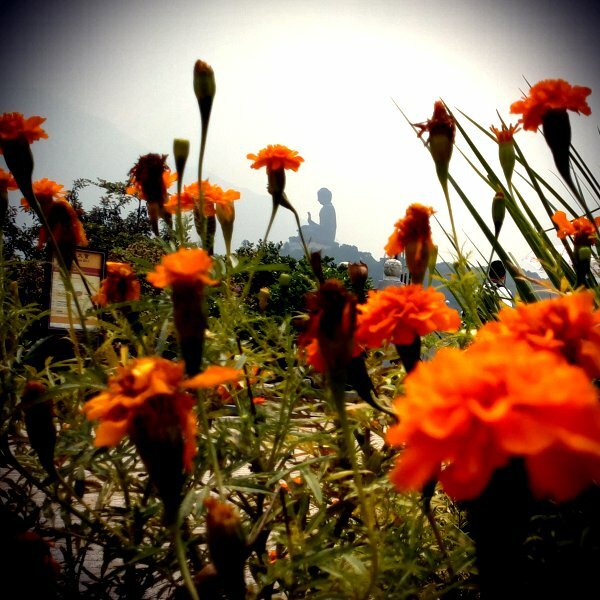 This is the first day of the 48hours Challenge that WOMWorld prepared for us in HK. Of course, most of the stuff ahead on us are unknown and it would be surely new to us, noticeable to the slogan of the event Try Something New. 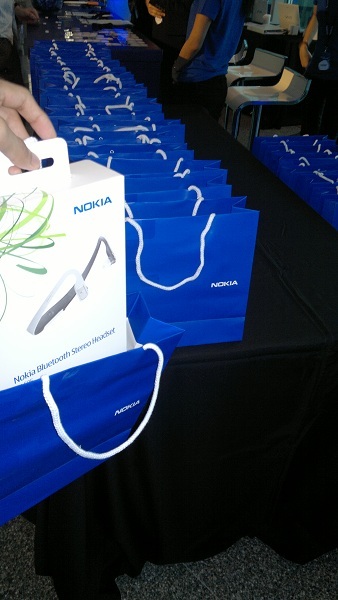 Before the challenge, Nokia gave each of us a new Nokia smartphones that we will be using and grouped us in to two teams with 3 members each. These phones are the Nokia 700, 701 and 600 except that all bloggers went for 700s and 701s whilst WOMWorld team Chris and Ricc got their own Betsy, the 600. Still all of these new phones run on the latest Symbian Belle and have NFCs on it so there are no things to worry about. After we got our first challenge, the next thing was to find the NFC poster which has our clue on it. Since we got our NFC enabled devices with us, all we just need to do after finding those posters are to tap our phone on it to know our clue. With NFC it was so easy and fast to open and check in on web links which have our clues. 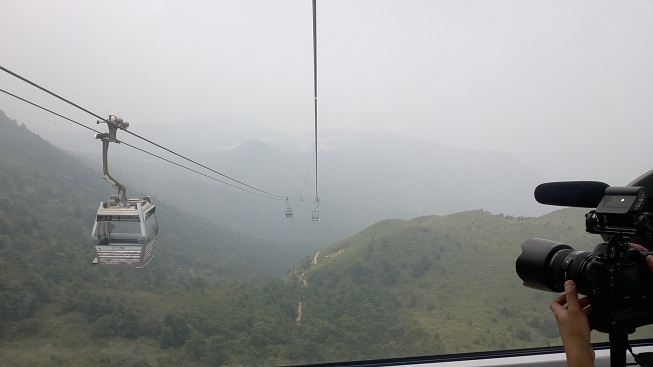 So next was we set off from hotel and went to our next destination in Ngong Ping and go for some cable car going up on the where the Great Buddha was. There at the top, we have our next challenge. 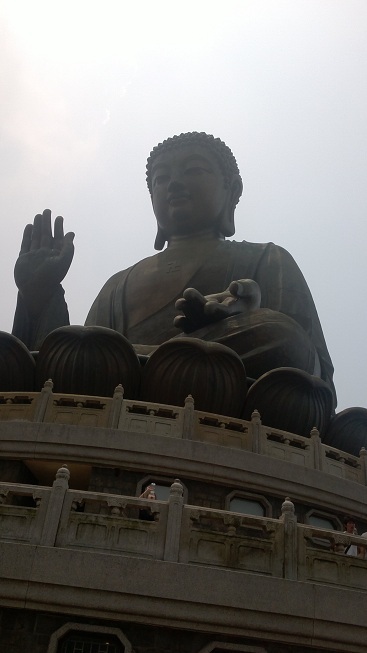 We almost toured Ngong Ping as we went climbing and running on hundreds of stairs going to Great Buddha’s statue, seeking for NFC poster, and the rest that happened there was so epic. 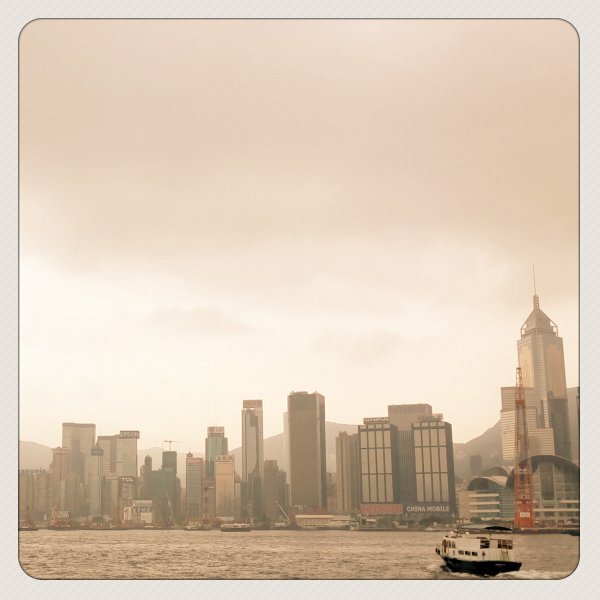 In afternoon we went for some ferry rides in Victoria Harbor and received our next challenge there until we completed it and had our night there watching some Symphony of Lights. 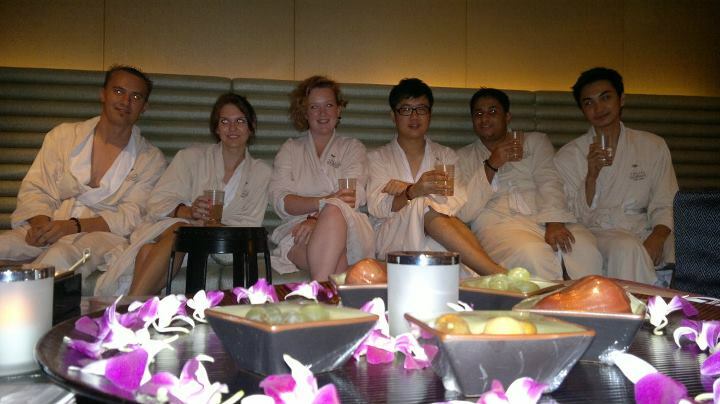 This day was so brilliant as most of us got our first ever spa treatment in our entire life! 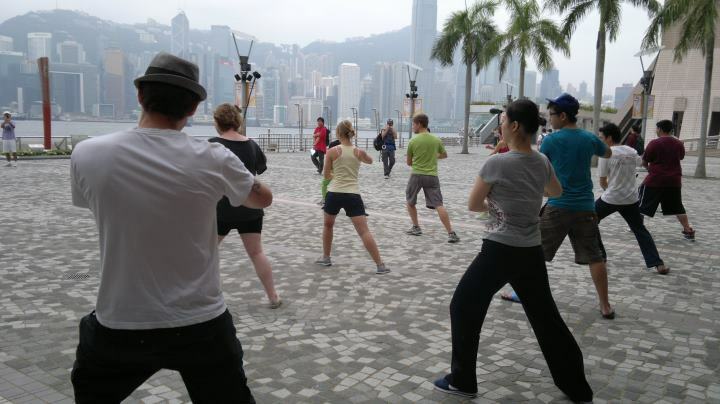 But before that our morning kicked off with some Tai Chi exercise in Victoria harbor and then we circled HK in a helicopter ride. 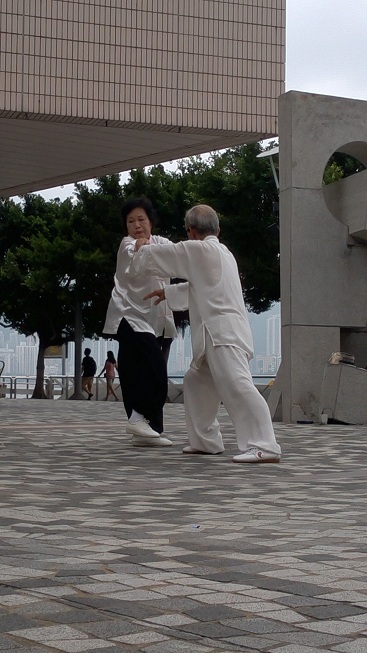 We flew on top of HK for about 20 minutes and it was so epic to do this first time especially in HK. This was still part of the challenge though. After that the surprising and my most loved part of the day was when we had some spa. All of us were really exhausted and stressed of the weeks activities and this was really a heaven to us. 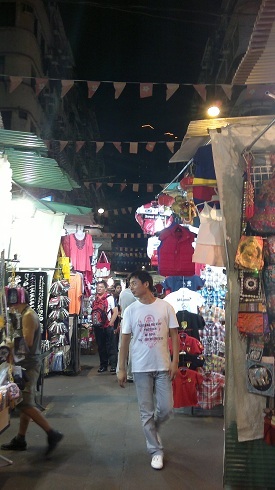 Lastly, our last challenge was in the Temple Street of HK. A bargain shopping center where most of the stores could give you less of up to half if you just use your haggling powers. Our challenge on this one was all about haggling. 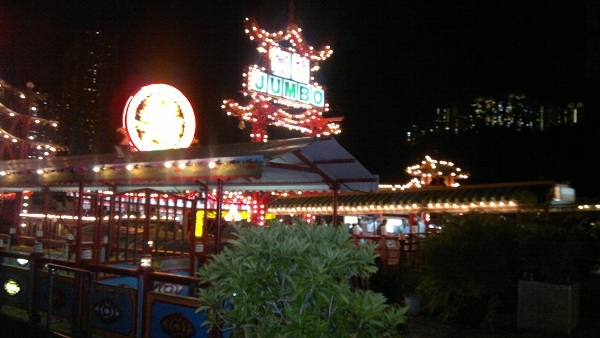 From Temple Street, we went then to the Jumbo Floating Restaurant. We rode the open-top double deck bus to get there and it was my first time too to ride on that kind. I really enjoyed the time when we pass on the tunnel and the bus was running fast. 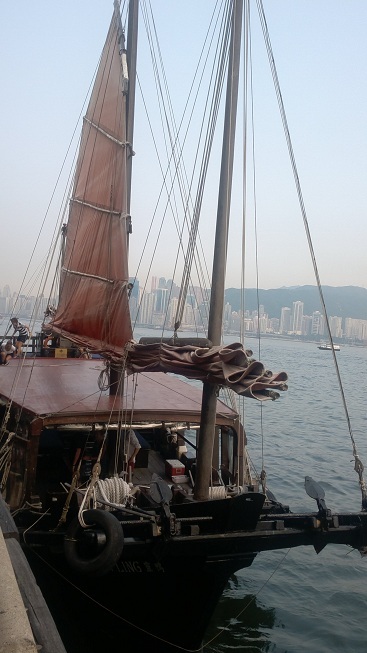 And after we had dinner on the floating restaurant, our awarding ceremony had been held there too. Although my team didn’t won on the challenge, still the fun and unique experiences we have been through in HK made all of us winners. …karaoke until dawn of Day 5. I will never really forget almost things we did in HK especially the time we sang all night until dawn of 5th day. It was so much fun seeing all of the guys sing like there’s no end to this amazing experience in HK. Really worth to keep for me from the time I stepped in HK to the last second of saying good bye to each of them. Thank you so much Chris, Ricc and the rest of WOMWorld team for bringing me in HK. It was best and awesome time to meet new friends like Jason, CJ, Sara, Lil, and Roman, and the rest of the camera team of Adam, and the tour team of Jo. 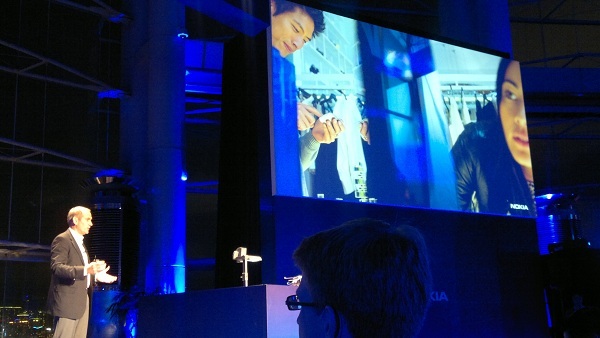 It’s sad to say that I miss them all, the bloggers and the Nokia team. But I’m sure I will be meeting them again in future.